Approved by Senate on April 23, 2014. 1.1 McGill University values quality in the courses it offers its students. End-of-course evaluations provide valuable student feedback and are one of the ways that McGill works towards maintaining and improving the quality of courses and the student’s learning experience. Student involvement in this process is critical to enhance the general quality of teaching and learning. 1.2 There shall be a university wide course evaluation system, administered through an agreed upon process, which is the official system [Mercury] for collecting course evaluation data from students for all courses subject to evaluation. 2.1 “Academic Unit” includes department, School, Institute and a Faculty without departments. 2.2 “Academic Unit Head” includes Chair, Director and, where appropriate, Dean of a Faculty without departments, and Provost when a Dean is the instructor. 2.3 “Courses” shall mean all undergraduate and graduate lecture, seminar and laboratory courses listed in the University Calendar. 2.4 “Course Evaluations” refers to the end-of- course process of evaluation conducted by means of the Course Evaluation Questionnaire. 2.5 “Course Evaluation Results” shall mean the results of both the numerical and written comments gathered by means of the Course Evaluation Questionnaire. 2.6 “Course Evaluation Questionnaire” means the questionnaire devised in accordance with this policy for such purpose. 2.7 “Course Instructors” shall mean the members of the academic staff responsible for a Course. d. to help administrators and faculty committees in their decision-making processes. 4.1 All courses with five (5) or more registered students shall be evaluated. Any exception must be approved by the Deputy Provost (Student Life and Learning). a. Required: Four (4) core questions. b. Optional: Not to exceed 21 questions: the Academic Unit may include up to 18 questions and the instructor(s) may include up to 3 questions. Academic Units are encouraged to select questions from the recommended pool of questions following the best practices as identified on the course evaluation web site. c. Required, if the course has teaching assistants: Core questions 3 and 4 referring to teaching assistants rather than instructor. Up to 3 questions related to teaching assistants. Part c. may be included with parts a. and b. on the same questionnaire or it may be on a separate questionnaire. Each part must include a space for students to provide written comments. 1. Overall, this is an excellent course. 2. Overall, I learned a great deal from this course. 3. Overall, this instructor is an excellent teacher. 4. Overall, I learned a great deal from this instructor. When applicable, the Academic Unit may replace the word “instructor” by another appropriate term, such as “teacher” or “lab coordinator”. Where appropriate, questions shall include a “not applicable” option. 5.4 In multiple instructor courses, each instructor shall be evaluated. Students should not have to respond to more than three (3) instructor specific questions for each instructor. 6.1 The evaluation period shall normally last approximately six (6) weeks and end no later than two days after the end of the examination period. Academic Units, with the prior approval of the Dean, may change the closing date of the evaluation period to the day before the start of the examination period and thus shorten the evaluation period to approximately three (3) weeks. 6.2 Academic Units will be reminded (by Teaching and Learning Services) twice a term that they need to opt out if they do not want to have the longer evaluation period available to their students, and that they need to opt in if they subsequently decide to revert to the default. 6.3 Results shall not be disclosed to the instructor, the Academic Unit Head or delegate before final grades in the course have been submitted and processed. 7.1 All course evaluation results shall be anonymous. 7.2 Written evaluations in the form of comments shall be considered confidential to the Instructor and the Academic Unit Head or their delegates. 7.3 Numerical evaluation results shall be confidential to the instructor, the Academic Unit Head, and the Dean of the Faculty or their delegates. 7.4 Numerical results may be used by individuals other than the Instructor in reporting only if presented in aggregate form. a. an instructor has not objected to access. 8.2 Results shall be available for the previous fifteen semesters (five academic years). 9.1 Instructors shall discuss the results of their course evaluations annually with the Academic Unit Head, mentor, or a consultant from Teaching and Learning Services. 9.2 Results from course evaluations should be included in the teaching portfolio as part of the evidence of effectiveness. 9.3 Students may consult results from previous evaluations as one information source about specific courses and instructors. 10.1 The Office of the Provost shall be responsible for the application of this policy and its principles. 10.2 Each Department is responsible for implementing the course evaluation procedure consistent with this policy and University administrative practices. 11.1 There shall be a University wide depository for course evaluation questionnaires. Results data for each department shall be permanently retained in electronic form only. 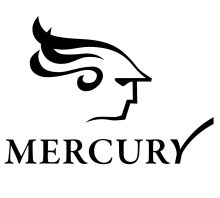 The University’s system (Mercury) will serve as the depository. Any written comments will be used to provide useful information (e.g., suggested improvements) to the instructor and Head of the academic unit but will not be available to the McGill community. Course evaluations are completely anonymous. d. pour aider les administrateurs ainsi que les comités facultaires dans leurs processus décisionnels. Les commentaires écrits serviront à présenter des renseignements utiles (p. ex. améliorations proposées) à l’enseignant(e) et au directeur/directrice du département, mais ne seront pas mis à la disposition de la communauté de l’Université McGill. Les évaluations de cours sont entièrement anonymes. Written comments are treated as confidential and are not made available to the McGill community. Les commentaires écrits sont traités de façon confidentielle et ne sont pas mis à la disposition de la communauté de l’Université McGill.